“The Colored Museum. Performances will run from February 25th to March 3rd, 2019. 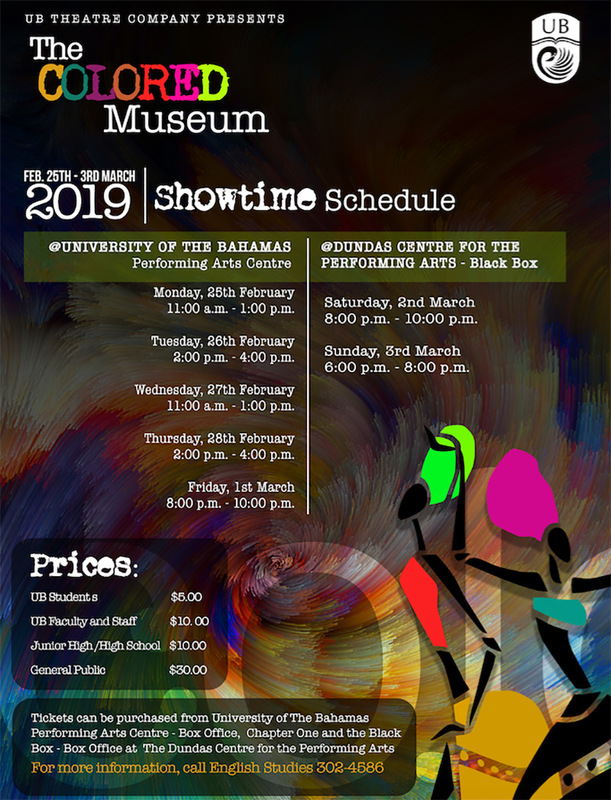 Come out to support The University of The Bahamas Theatre Company! Tickets: $5 for UB students; $10 UB faculty and staff, $10 non UB students, $30 all others. Tickets are available at: Chapter One Bookstore, The Performing Arts Centre Box Office,The Black Box Theatre Box Office.